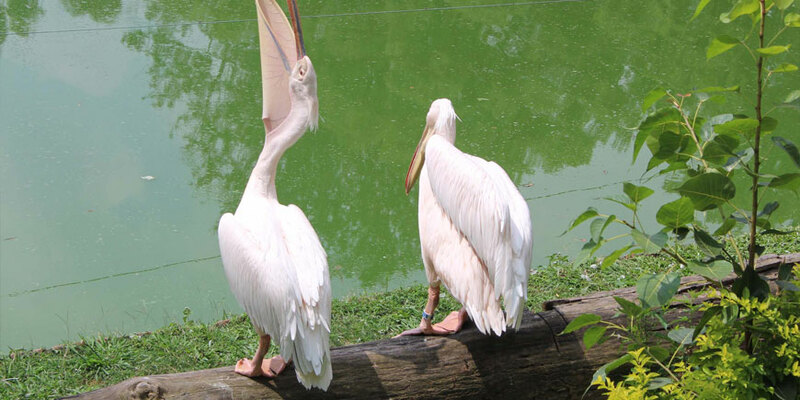 Koshi Tappu Wildlife Reserve lies on the floodplains of the Sapta Koshi River in the south-eastern Terai. The Reserve was gazetted in 1976 to preserve habitat for the only remaining population of wild buffalo, Arna. The 176 sq. Km Reserve is Nepal's smallest Reserve. The vegitation is mainly composed of tall grasslands. There are also patches of khair-sissoo forest and deciduoud mixed forest along the moist bank of the floodplain. Around 159 wild buffalo are preserved here. The reserve is also home to Gaur, hog deer, spotted deer, blue bull, Indian Fox, Gangetic Dolphin, Gharial Crocodile and Rock Python. There are two types of accommodation available in Chitwan. While there are 40 Hotel / Lodges outside the park, few safari lodges are located inside the park. Price varies with choices of lodges. Fly Kathmandu to Biratnagar and then drive for about 2 hrs to the Koshi Tappu wildlife reserve. It is 10 hrs (500 km)drive to Koshi Tappu by road. Your arrival to Tribhuwan International Airport (TIA), you will be met by our Airport Representative, and transfer to hotel. Overnight at hotel. B.B. Full day sightseeing tour of Kathmandu valley (Pashupatinath Temple, Boudhanath, Swayambhu, and Kathmandu durbar square). Overnight at hotel. B.B.